The Sony Xperia XZ Premium won’t hit stores until June 2, but you can pre-order it now and get free headphones or speakers thrown in too. At Carphone Warehouse you can grab it from £39 per month with no upfront cost, and this is the only place that stocks the XZ Premium in chrome. But if you want a freebie you’ll have to go elsewhere. Sony’s official website has the phone up for pre-order, and if you grab it there you’ll get a free set of high-resolution, digital noise cancelling Sony MDR-NC750 headphones. Meanwhile, pre-orders from A1 Comms, Amazon, Argos, Clove, MPD, Shop Direct (Very and Littlewoods), Sure or Unlocked Mobile will get you a free Sony XB-20 speaker while stocks last. 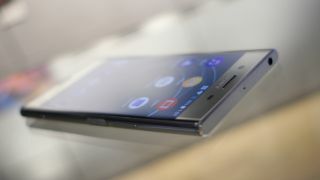 The Sony Xperia XZ Premium costs £649 SIM-free, which is a hefty price, but then you’re getting a lot of tech for your money, including a 4K screen, a Snapdragon 835 chipset, a glossy mirrored finish and a 19MP camera with impressive slow-motion skills. That said, we haven’t yet put the XZ Premium through a full review, and things like the battery life and day-to-day usability of the camera remain unclear, so you might want to hold off until we’ve given our final verdict. Find out what the Sony Xperia XZ Premium is like to live with by watching our 'week with' video.